Happy Wednesday and Happy Halloween! My girls were able to dress up for school today so I spent my morning applying a little mascara, watching them apply lipstick in the mirror, and my hands are covered in purple hair chalk. This year, I have a beautiful butterfly and a unique unicorn. 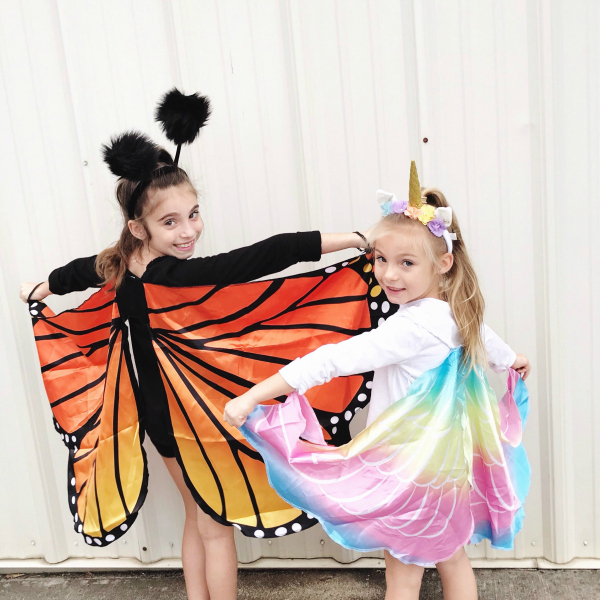 They have been able to wear their costumes to dance class a couple times and they have loved them! We kept it pretty simple this year with costumes but I think they look so cute in them! 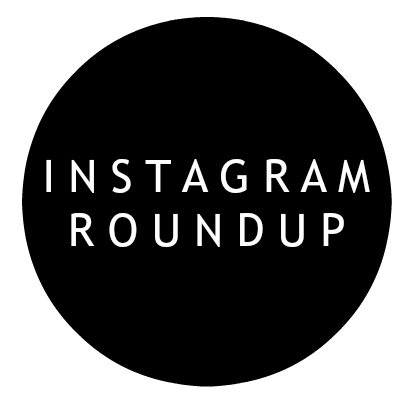 Today, I'm sharing my weekly Instagram Roundup, including all of the outfits I wore last week. 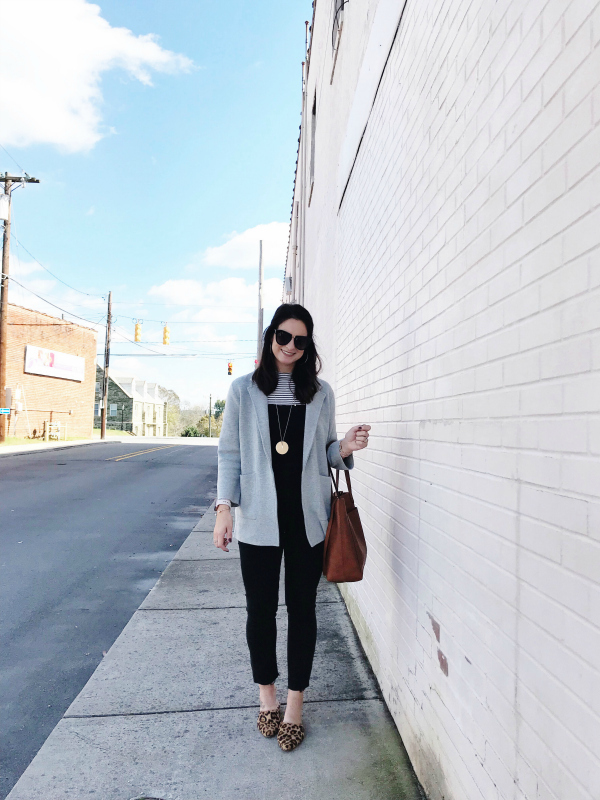 You will see a reoccurring pattern of casual put together in this roundup! 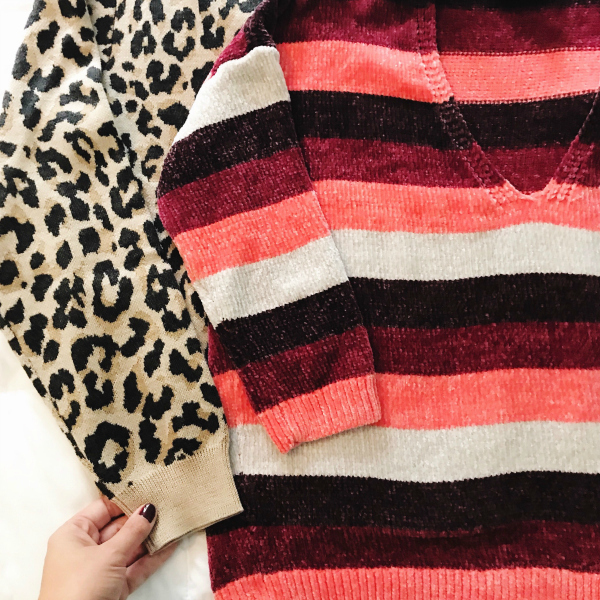 I am loving bold patterns for fall, especially leopard and stripes! I wore this outfit last week for my first day of volunteering at my girls' school. 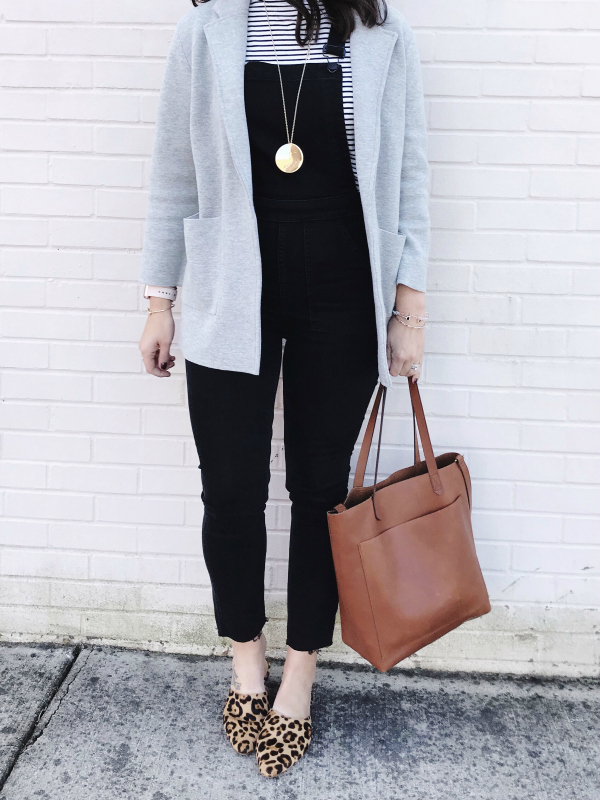 I also styled this sweater blazer in this post. 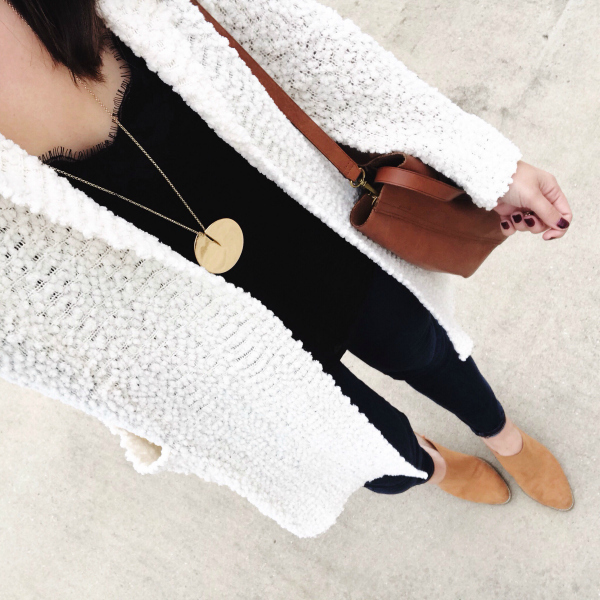 I am loving how casual yet put together this piece is! Dressing up a look without looking too dressed up. 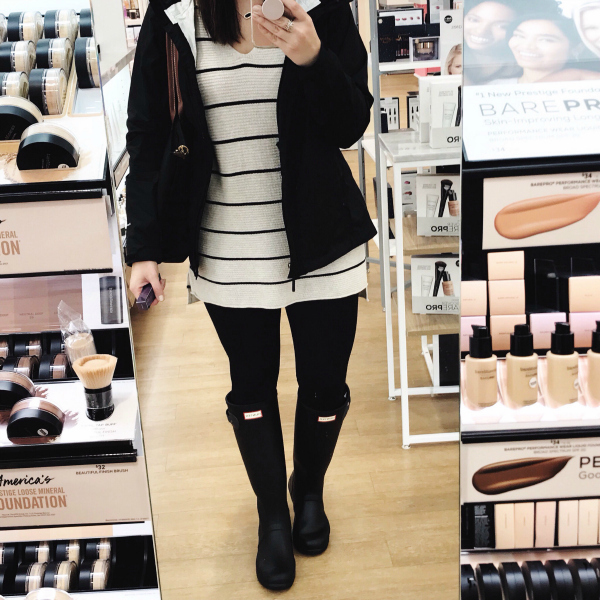 My favorite way to handle a rainy day... in leggings! I wore this outfit for some Saturday afternoon family fun. I absolutely love the fun colors in this chenille sweater! It's adding some color to my mostly neutral wardrobe. 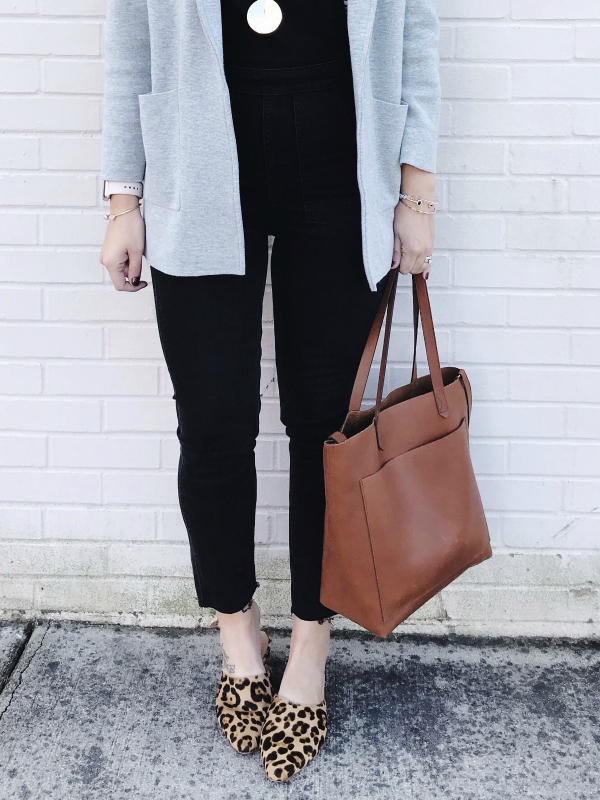 Favorite skinny jeans and leopard for heading out the door to church last Sunday. My absolute favorite combination is denim and blazers right now! I am all about casual but I love incorporating dressier pieces to make me feel put together. Happy Tuesday! I hope your week is off to a great start! Today, I'm sharing a recap of the BohoBlu pieces that I've styled this month. BohoBlu is a North Carolina based boutique with stores all over the triad to serve you but they are also online if you aren't local. Be sure to use my code EMILY10 at checkout to save 10% off your order! 1. 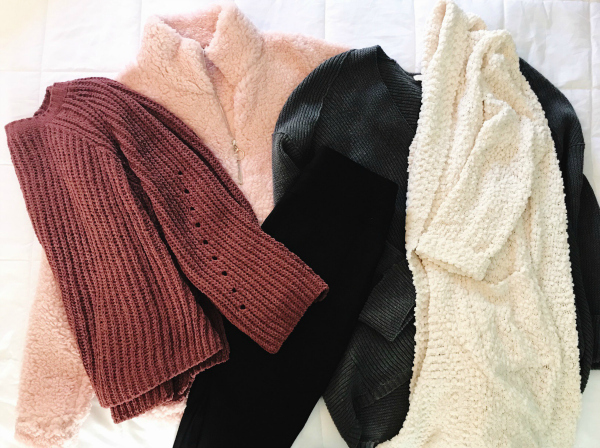 A S P E N P U L L O V E R | Blush and cozy, yes please! 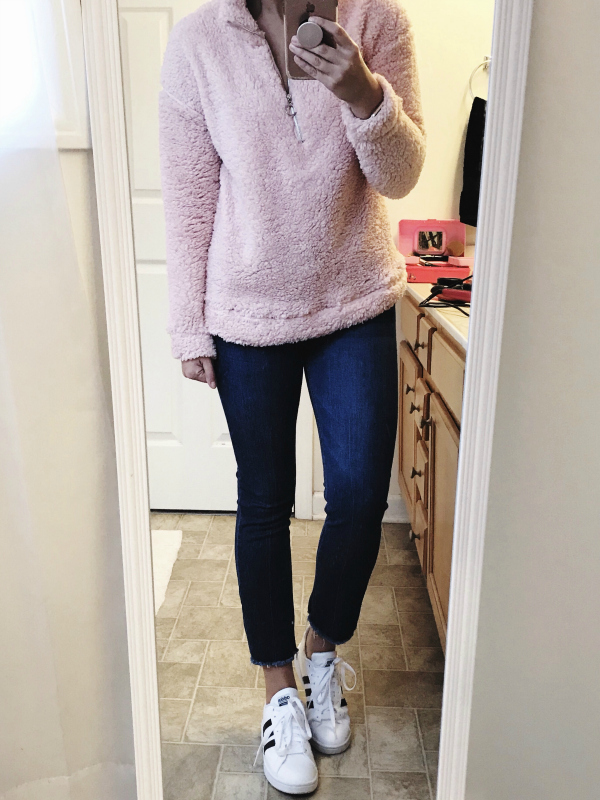 This soft pullover is a must have for fall and winter! The inside lining isn't scratchy so it works on it's on or size up one sizing for layering. I'm wearing my true size, a small and I could wear a tee underneath it but for heavy layering get one size bigger than you normally wear. This pullover also comes in charcoal! 2. 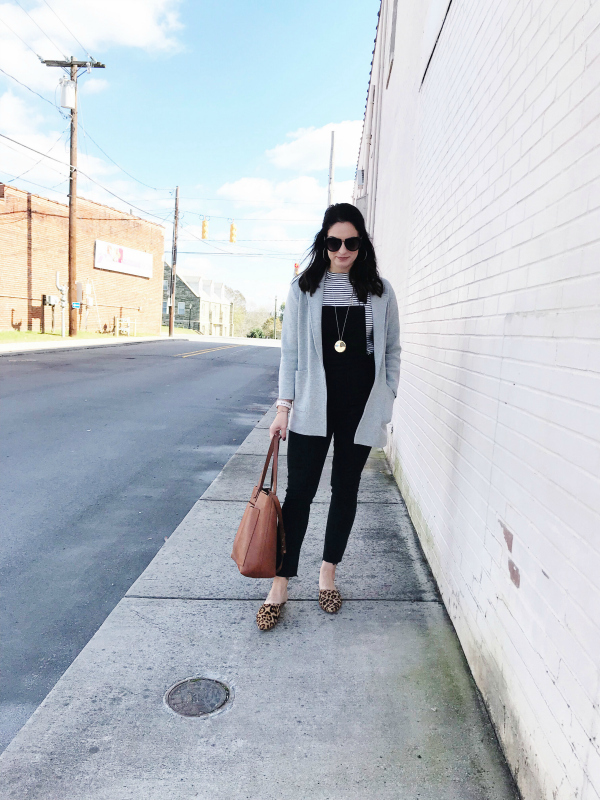 J E R I C A S W E A T E R | I love a cozy sweater, especially a gray one! This one size fits all piece fit me oversized yet it was still super flattering because of the necklace and the overall style. It would also be super cute with a fun bralette underneath. I styled it with light wash jeans and ankle boots but it could also be worn with leggings since it does come down longer in the back. 3. P A I S L E Y C A R D I G A N | I would definitely have to say that this cardigan is my favorite BohoBlu item that I styled this month! The fabric is super soft, the length is perfect, this color goes with everything, and it has pockets. Really, what's not to love?! I styled it with a body suit and distressed denim, a cami and skinny jeans, and also a tee with straight leg jeans. 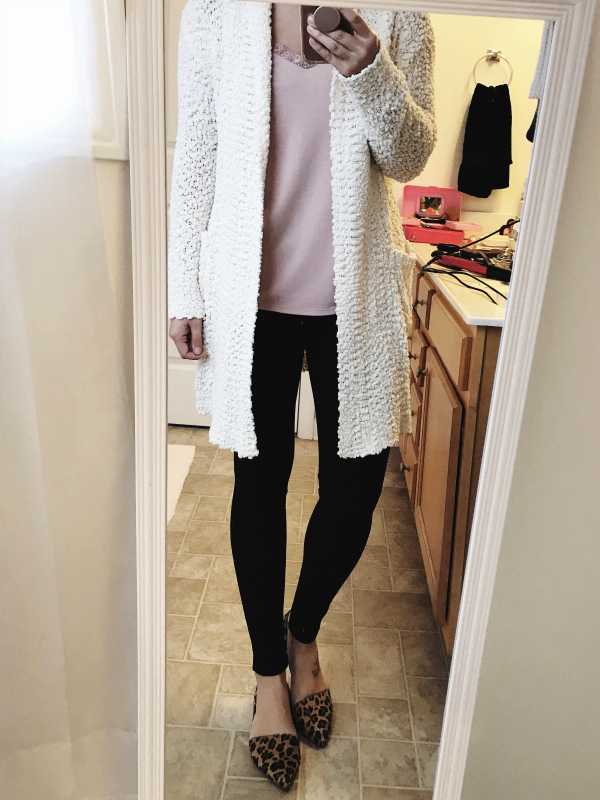 It's such a versatile piece that I know I will continue to wear so much! The fit is true to size and I'm wearing the size small/medium in the color natural. 4. 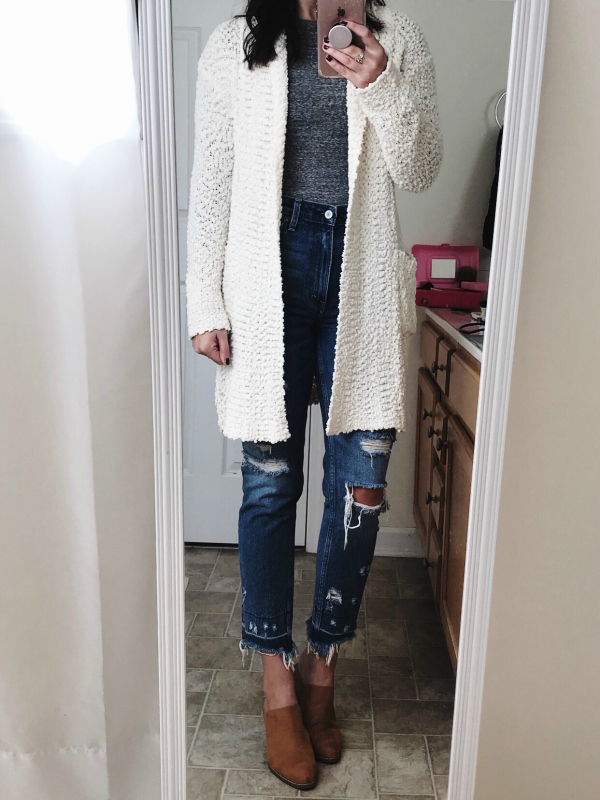 L A U R E N S W E A T E R | I am a big fan of all things chenille so I absolutely love this sweater. The soft fabric is so comfortable! It has a few distressed spots that add to the unique character of this sweater. 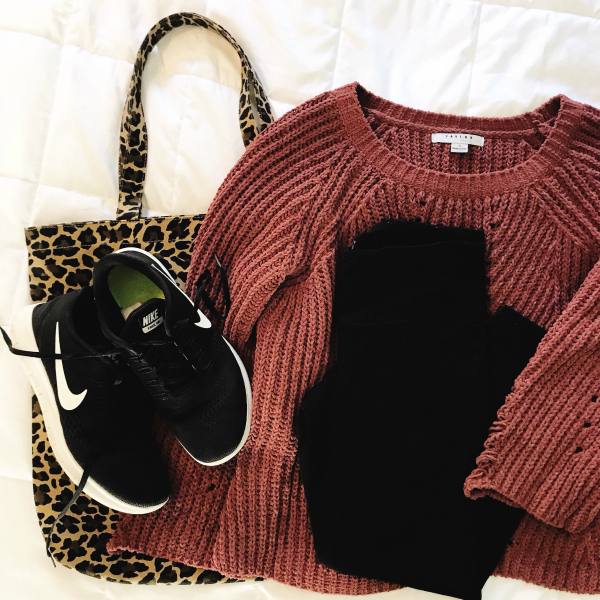 The color is a light burgundy and it's so perfect for fall! I threw it on over my gym clothes last weekend and got so many compliments on it. The fit is true to size. 5. J O S E Y P O N T E P A N T S | If you've never owned a pair of ponte pants, you are missing out! The ponte fabric is thicker than a legging but just as comfortable. This particular pair also has pockets which makes them easier to style. You can dress them up for work with a cami and heels or dress them down with an oversized sweatshirt and sneakers. So versatile! Also, they have a great high rise that hold you in just right. I'm typically a 27 in pants and the size small works perfectly for me. Which of my BohoBlu pieces is your favorite?! 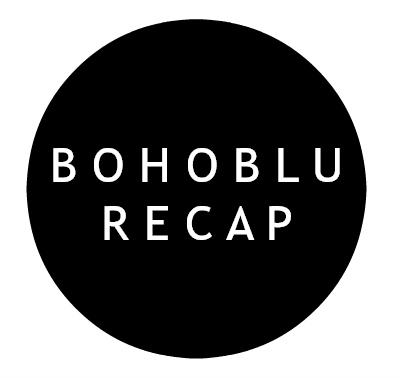 Remember to use my code EMILY10 when you shopping online at BohoBlu! Hey y'all and Happy Monday! I hope you all had a great weekend! This weekend was a good one that included a great mix of relaxation time, family time, and me time. For a week, I almost talked myself out of going to the Freedom Project Tour but I knew in my heart that I needed to go. Even after arriving and getting a seat, I almost left because I looked and saw all of these women there together with a friend or a small group. But, I'm glad I stayed. God planted me there in that seat and I heard so much that I needed to hear. It was encouraging, refreshing, and uplifting! I also got to reconnect with two ladies from my church so it ended up being an overall great experience. It's awesome what God can do when we are willing to step out of our comfort zone! Speaking of comfort zones and more specifically fashion comfort zones... overalls, skinny overalls. I'll be honest, when I first saw that these were available at some of my favorite stores, I was like "nope... not for me." 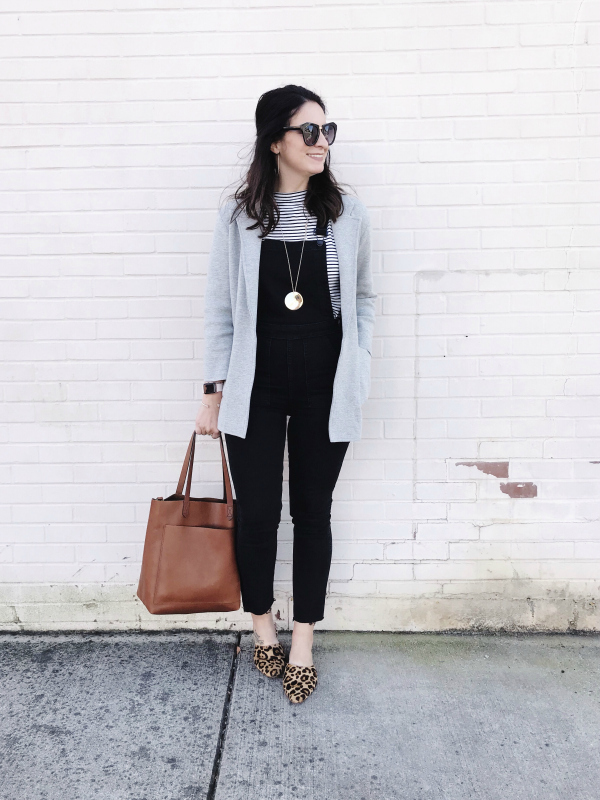 However, after seeing some of my favorite style inspirations style them in such chic, mom friendly ways, I knew I had to have a pair last winter. My first pair were the ones pictured below; a true denim. 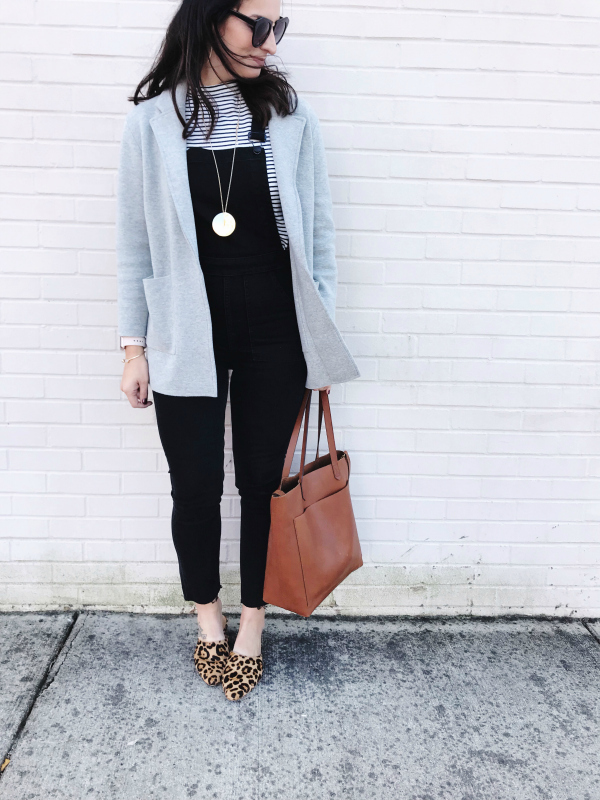 I've styled them so many different ways and throughout the seasons because they are such a versatile piece in my wardrobe! I also bought the shortalls version for summertime and I wore them at least once a week! But recently, I bought my favorite pair yet. Black! I have always been a fan of the color black but even more so recently. 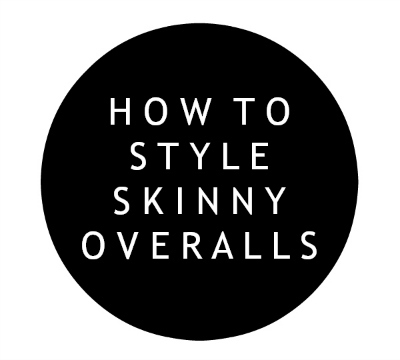 It's easy to style, goes with basically everything, and it's timeless. I definitely stepped up my overall game with these black overalls! I feel like black overalls are just a little bit fancier and therefore, easier to dress up. Dress them up with a blazer and heels or down with a denim jacket and sneakers. The styling options are really endless! My overalls are a true denim so they don't have a ton of stretch but I went with my normal size because I prefer the fitted look. I am wearing the size small and I'm 5'5". I wore this outfit for church yesterday and I actually put it together when I was half asleep at 6:30 am but I love how it turned out. My mock neck top is actually sleeveless but it's a more fitted top so it works great under these overalls. 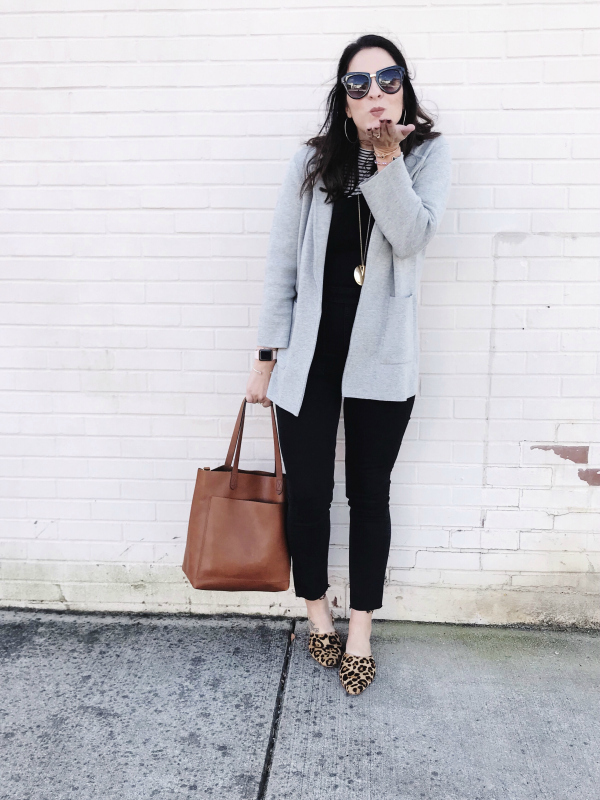 I added my gray sweater blazer, a long necklace, leopard mules, and one of my favorite leather bags to complete the look. I loved the subtle pattern mix of stripes and leopard! I used to get kind of crazy with my pattern mixing but I definitely keep it more simple now. 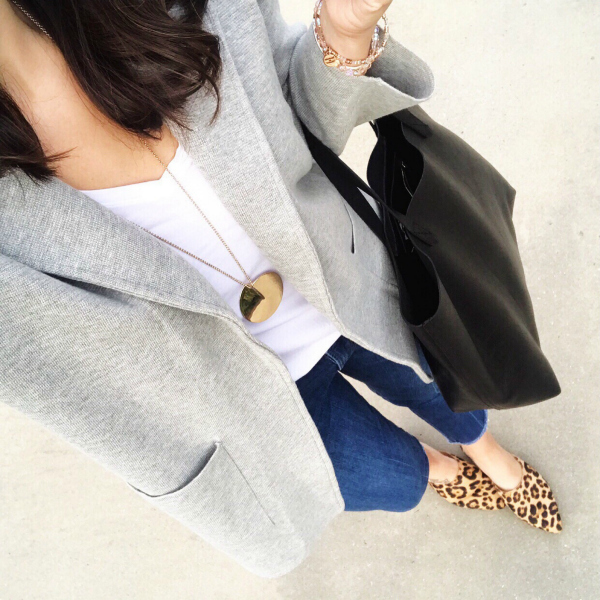 Stripes and leopard are always a good idea and even better together! Also, a shout out to my eight year old photographer who totally took these photos for me in exchange for a couple piece of candy. Haha! Thanks so much! I hope you have a great day! Happy Friday! I hope you've had a great week! I've had a really good week but I am looking forward to the weekend. I always look forward to the uninterrupted family time and this weekend, I'm also looking forward to going The Freedom Project Tour with Jennie Allen, Christy Nockels, and IJM! 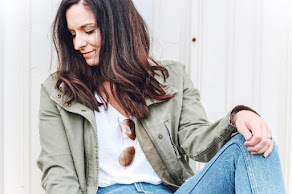 Today, I'm rounding up my weekly picks for what I'm currently loving and I found so many cute things this week for y'all! I want to add them all to my cart! 1. 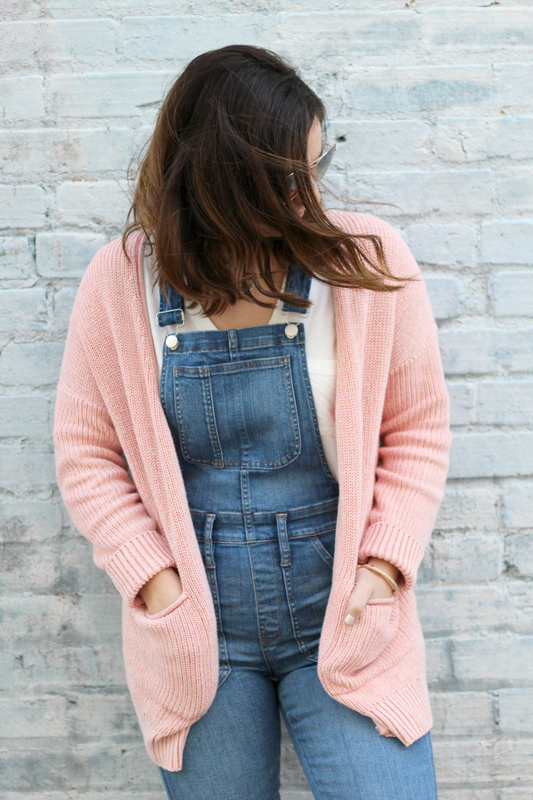 O V E R A L L S | I have a super similar pair of overalls but these are much more affordable and equally as cute! I always buy my true to size from this brand. I styled my overalls last week with a striped tee, denim jacket, and ankle boots for a cute, comfortable weekend style. 2. B O O T S | I haven't purchased a new pair of ankle boots yet this season but this pair is at the top of my shoe wish list! I love the cut out detail, the block heel, and the color. 3. 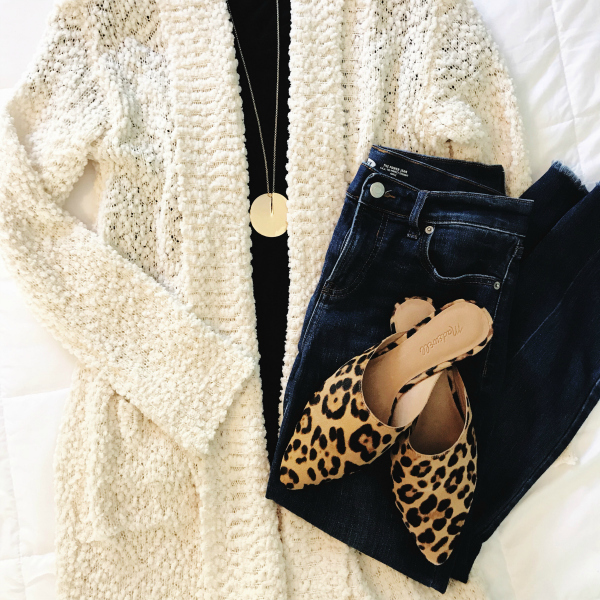 C A R D I G A N | I love all things cozy and chenille so this cardigan is perfect. It comes in a few colors but I am really loved this shade of yellow! 4. 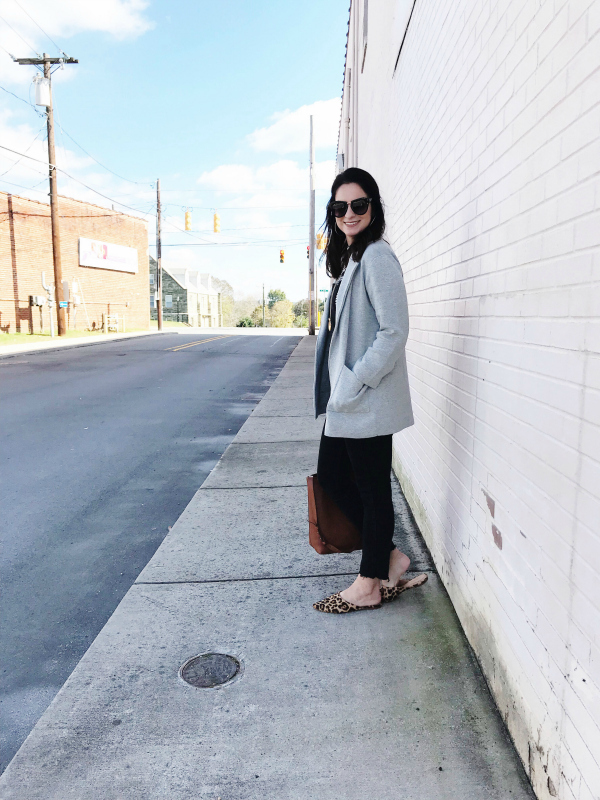 B L A Z E R | I already own a similar blazer but mine is pretty much sold out so I found this great option that's also very budget friendly. 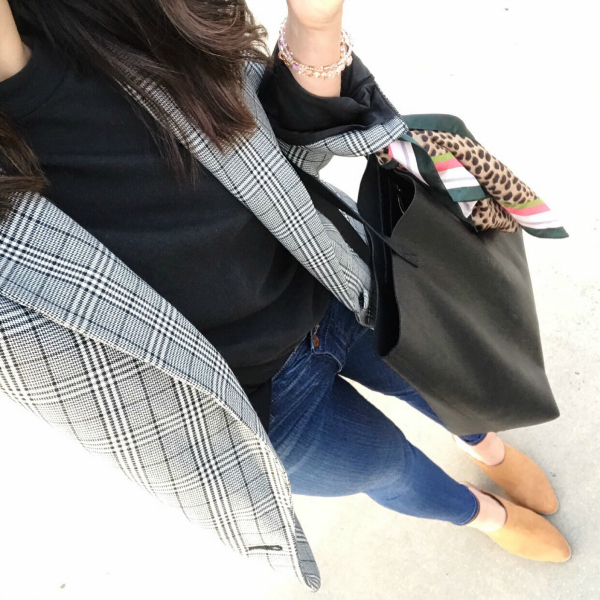 I love wearing my blazer casually with jeans and a tee! 5. 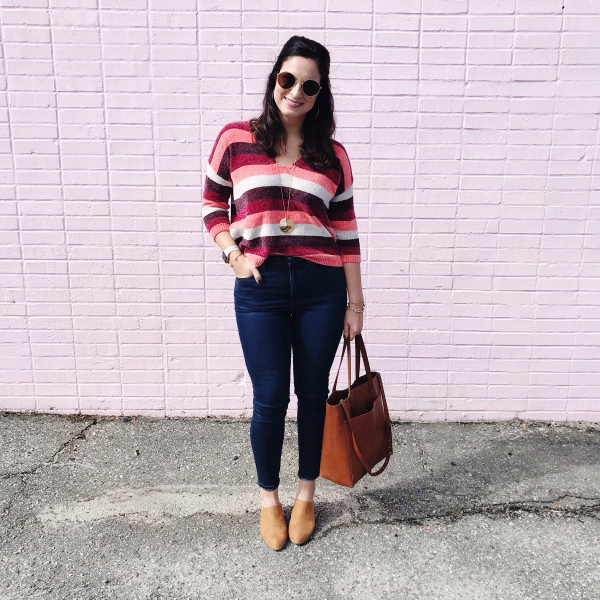 T E E | You just can't go wrong with a tee from Madewell! They are such great quality and so comfortable. This new vintage style is around $15 and comes in lots of colors! 6. 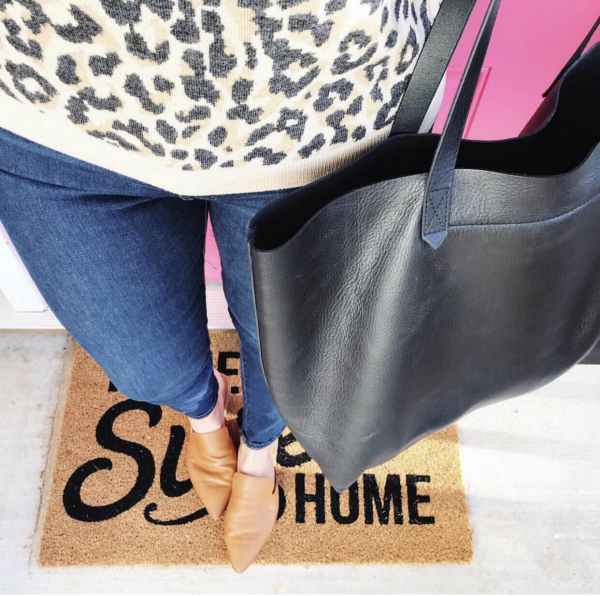 L E O P A R D S W E A T S H I R T | How cute is this leopard print?! So fun! I also really love the bandana that also comes in this print. It would be super cute in your hair or tied on your bag! 7. R I N G | Our logo where I work has a star in it so I'm always drawn to stars and this ring immediately caught my eye. It's such a cute piece and under $20! 8. B L A C K S W E A T S H I R T | This sweatshirt is such a great basic for your wardrobe and it's so comfy, too. I tried it on in store and I personally preferred the fit of sizing up one size. It would be super cute layered with a vest! Thanks so much for stopping by! I have your have a wonderful weekend!